Translation Projects - Express International Translations Inc. Looking for Help With You Translation Project? If you are seeking info about a translation project of yours, you've come to the right place. Here at EITX we handle all types of "Translation Projects", no matter the size. For any questions regarding translation projects, contact us at (416) 410-2021. Each Translation Project has special requirements. We work with each client to determine what services they require. Express International Translations Inc offers a huge selection of services including Consecutive Interpreters, Technical Translation and Medical Document Translation, and also include services such as Website Translation Service, Italian to Spanish, Romanian to Arabic, plus many more translation services which we offer to our loyal clients. If your current situation has become critical, call Express International Translations Inc today at (416) 410-2021 and ask for a FREE no obligation estimate. Still Not Sure About Express International Translations Inc? If you have any questions about Translation Projects or for any other translation related inquiries, call Express International Translations Inc to talk with one of our staff and a free quote. Express International Translations Inc TIP: When considering hiring a translation company, be sure that they are a part of a reputable organization and maintain their certifications. If you are looking for more information about Translation Projects or if you are interested in speaking to one of our staff just give us a call and we can discuss your requirements. 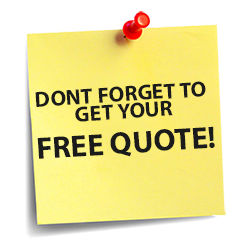 Call For A Free Estimate For "Translation Projects" or fill out the form on the right to find out more.